Super Savings Item! Save 40% on the Kivary Sweetheart Long Black and Champagne Lace Tulle Gothic Corset Prom Wedding Dresses US16W by Kivary at SCRHI. Hurry! Limited time offer. Offer valid only while supplies last. 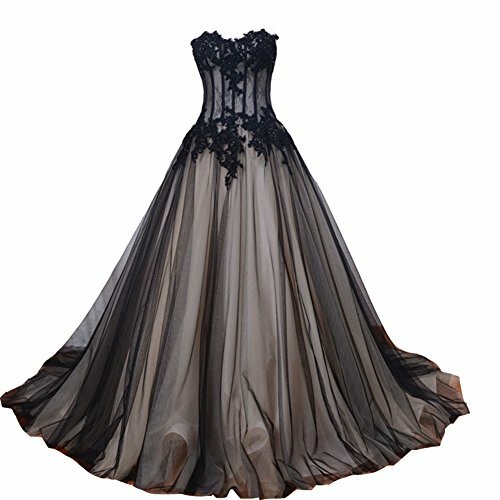 Tulle ball gown long lace up back women formal gowns, it can also be used as prom dresses, gothic dresses, holloween dresses, wedding dresses etc.